Battery life is an important feature of most phone users out there. That being said, they probably let it be a deal breaker, they won't sacrifice amazing features for some more battery life. My guess is that portable battery chargers are pretty prevalent these days and an easy fix to power woes. But there are a lot of chargers out there these days, which to choose from? We've reviewed a lot here on the site and today we add one more. 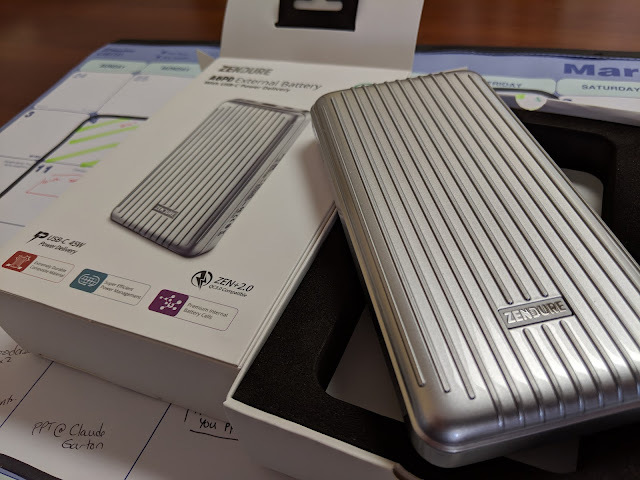 Today's option comes from Zendure, and is their A6PD version. 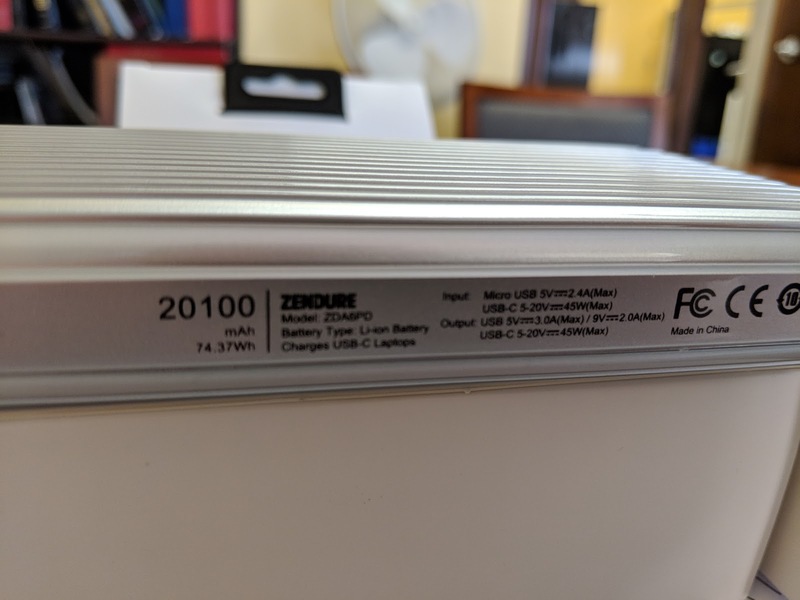 I don't know where they get their naming convention from, but it's a heck of a beast when it comes to other chargers out there. 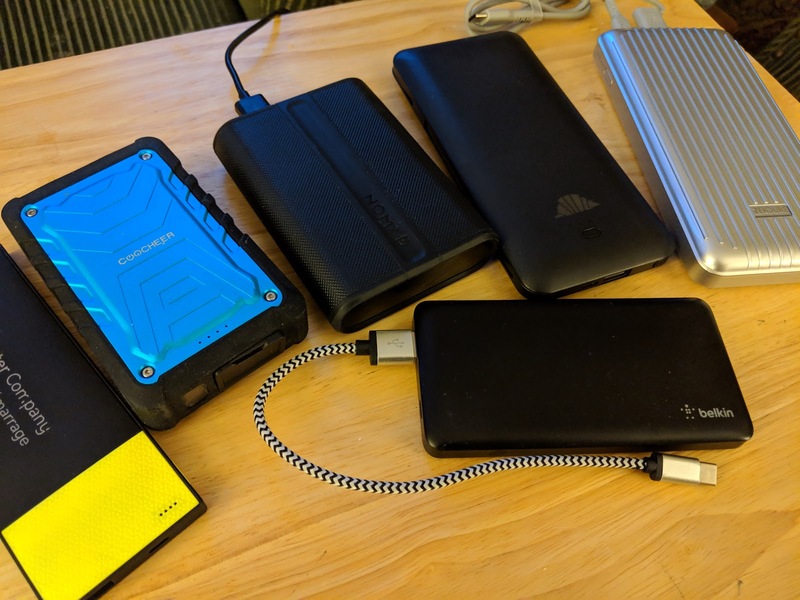 I figure the PD comes from the fact that the output is at Power Delivery levels - it's meant to charge things like laptops and game consoles that require it. Now, it's not 'cheap' by any standard - it runs at $141CDN (sorry, on the video I say USD, but I was wrong). But it packs a whopping 20,100mAh of juice. So let's start off by mentioning that this is not just a lot of juice, it's a heavy beast too. It looks like it could take a heavy beating. I'm more worried about denting the desk if it falls on it. You can't pack 20.1Ah of power without having some bulk. Now, it does have the typical 4 LED battery level indicator, which is always handy. Just press the button to show the indicator. That's all you'll need that button for, as whenever you plug something into it it'll start to recognize that it needs to charge and start flowing. Speaking of plugs it has 3. 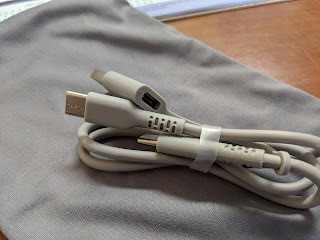 You can charge the bank by using either microUSB or the USB-C. You could even charge it with microUSB while charging something ELSE with the USB-C. 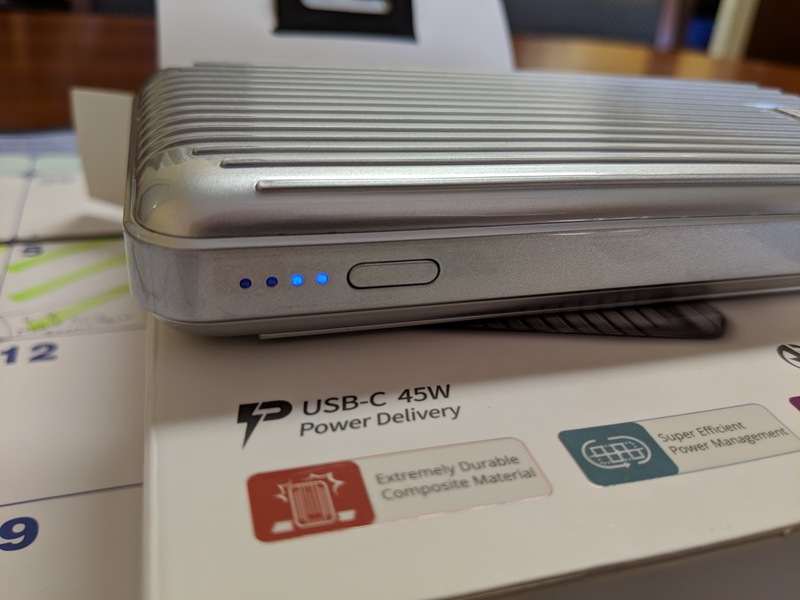 The USB-C can output PD at 45W and the others can do up to QC3.0. So, this will be able to give you juice in a hurry or allow you to keep playing and charging. In the box, there are a couple of accessories as well. There's a bag to keep it in, which is a nice microfibre to help keep your devices clean and clear. The big bonus here is the cable it comes with. First up, it's a nice rubber, so not braided cable for protection, but it looks like it can take some abuse, much like it's big power bank. 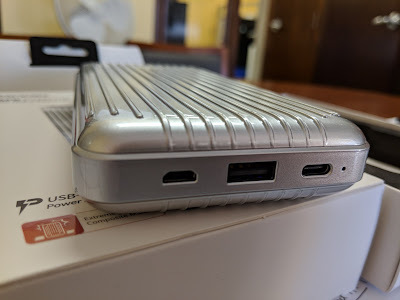 The cable has USB-C on both ends so that you could plug in from the PD output and connect it to the device. But, one end they have attached a quick little dongle to make one end a USB-A. 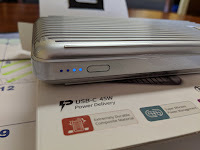 So, whether you just want to plug in a non-PD USB-C device using the middle port, or you want to charge up the power bank by plugging the cable into some wall wort etc and then plug into the USB-C for in. So, it's got a lot good going for it. Mega amounts of juice. Durable, handy cable. Fast charging for all devices. The only downside is that it fairly expensive. $140CDN is twice the price of my favourite, the intelliARMOR scout. It's twice the juice of it but doesn't have the handy attached cables or electrical plug. It's always bulky. It fits in a bag easily, but it's really noticeable in my messenger bag. But I have it already packed with other things too... definitely better with a backpack or suitcase kind of travelling. It does impress everyone I show it to.